We provide instant quotes for whoever needs them via our website. This is how you go about generating a quote. 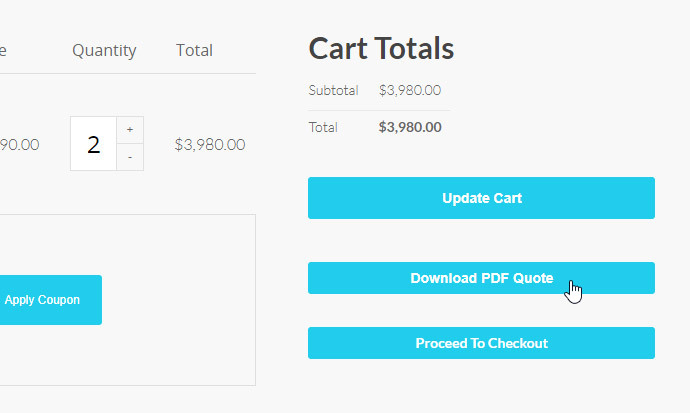 To generate a quote, you must first add items to your cart. 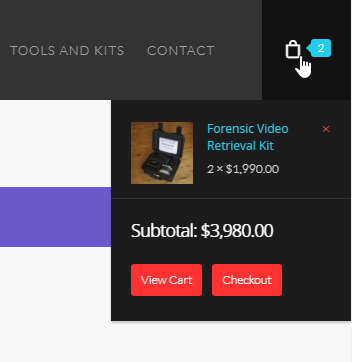 Simply select from the tools and kits on our site, and configure quantities to your needs as though you were shopping. Once you’ve selected the items that you’d like included in your quote, navigate to our cart. You can find the cart in the upper right-hand corner of the page. Once you’re in the cart, you can press “Download PDF Quote” to generate the quote. It’ll automatically begin to download. You may be asked if you’d like to save the resulting PDF file. If you are, select YES and save the file to a safe location where you’ll be able to access it later. We can optionally include your organization’s information on the quote. This will also happen automatically if you’re logged into your account. If you already have an account, you can login here. If you don’t have an account you’ll need to register. As in Step 2, you may now return to the cart and you can now press “Download PDF Quote” to generate the quote. It’ll automatically begin to download, and it will now include your billing address under the ‘Buyer’ section of the document. You may be asked if you’d like to save the resulting PDF file. If you are, select YES and save the file to a safe location where you’ll be able to access it later. Questions? We’d be happy to answer them or provide you with a quote from a genuine human. You can contact us here.